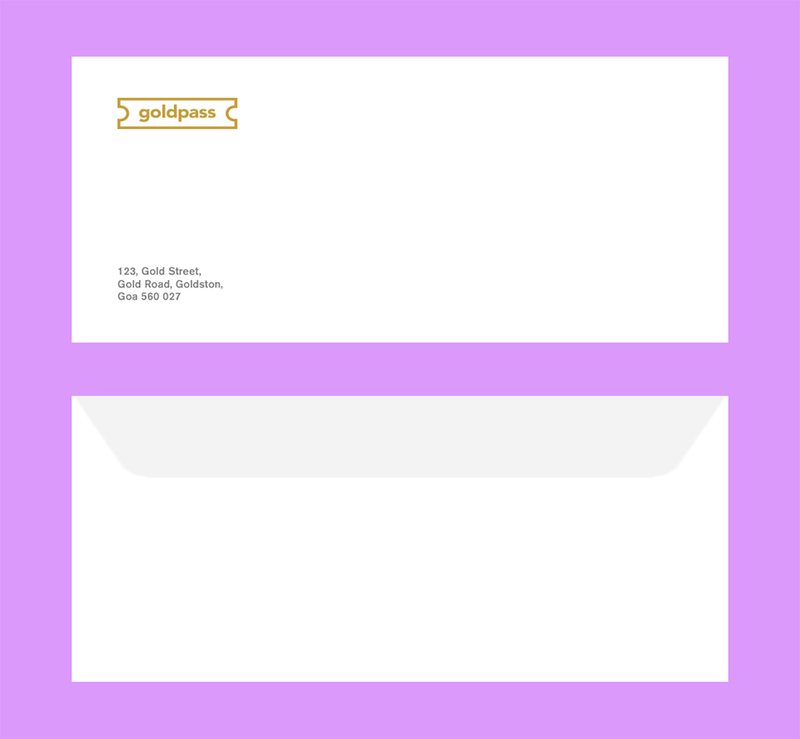 Goldpass is a discount services company based in Goa, India. They partner up with several other companies, restaurants, hotels, and pubs to provide the best offers and deals to their customers. They aim become a huge company to stay on top of future competition and remain pioneers in the field. 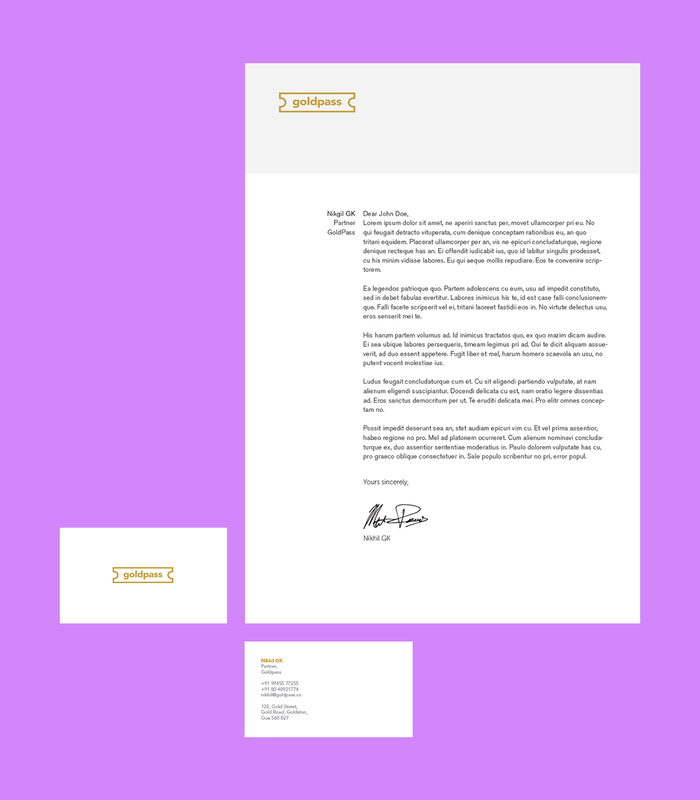 This project looks into designing a fresh and contemporary identity for Goldpass which reflects the brands values and appeals to it's target audience using Golden Ratio/Fibonacci Sequence as a primary element in the design. Roberts, Gareth E. The Fibonacci Numbers and the Golden Ratio. PDF. Worcester, MA: Department of Mathematics and Computer Science College of the Holy Cross, February 18, 2015. "Golden Ratio." Wolfram MathWorld. Accessed May 18, 2016. http://mathworld.wolfram.com/GoldenRatio.html. 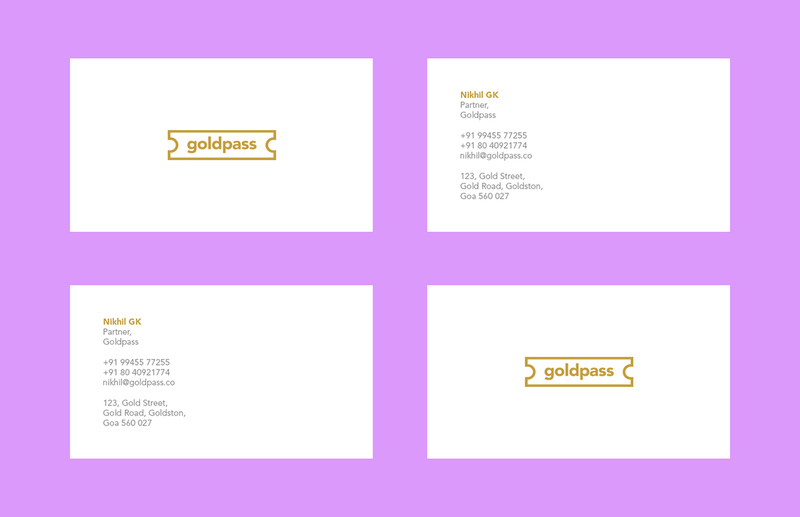 This project looks into designing a fresh and contemporary identity for GoldPass which reflects the brands values and appeals to it's target audience.